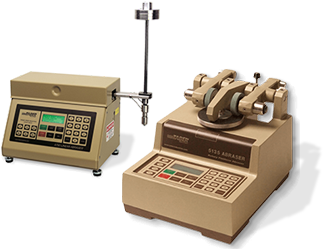 Taber instruments are recognized worldwide and referenced in numerous test procedures for evaluating the quality of materials and surface finishes. If you do not find the right product, contact us with the details of your requirements. Taber welcomes new ideas or suggestions for improvements to existing products, and continuously reviews our product offering. The abrasiv e wheels and Wearasers® are a proprietary formula comprised of silicon carbide or aluminum oxide abrasive particles embedded in a resilient or vitrified (clay) binder. 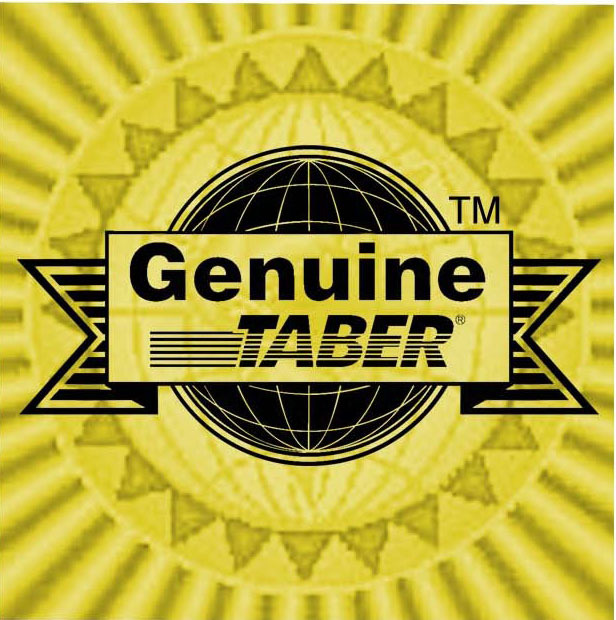 Available through authorized Taber distributors, Genuine Taber abradants can be identified by a security label found on the wheel container.